So remember when I said I shot a pair of overalls and then left said overalls in the bathroom of a coffee shop? Well, these are that pair. Thank god the owner and his girlfriend at Luna Rose General Stores in Denver are saints and saved them for me! I was freaking out. Like, who leaves overalls at a coffee shop? Apparently I do! Any how, I have always had a passion for creativity and the arts. I majored in fine art in college, was constantly playing with my hair color in high school (I even had it purple once) and to this day love learning new instruments. When I retire I envision having a home on lots of land where I can paint and make music with my love on our front porch. It's a daydream that I love to think about. I don't make time for things like painting or music at the moment but I have loved learning photography and styling. From styling shoot concepts, our home or my wardrobe I am constantly pushing myself to learn more. 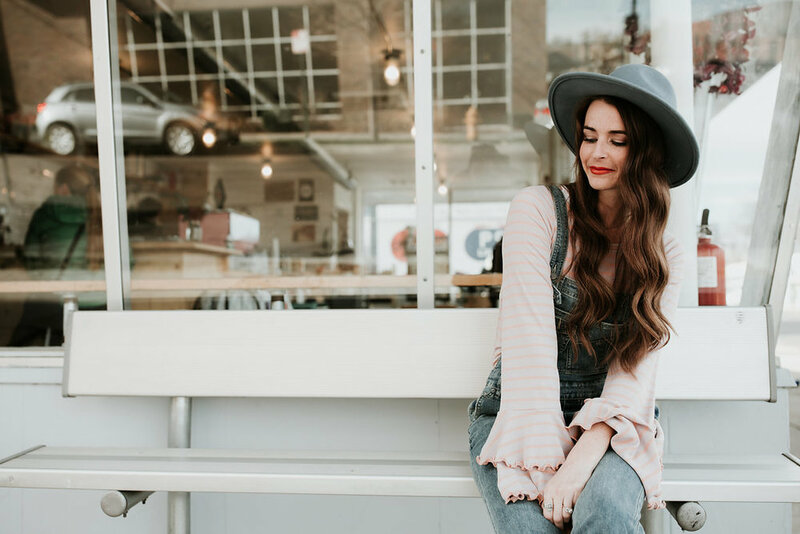 I hope to bring you more and more posts about fashion and inspire you to express yourself, feel good and love what you wear whether you are at home with your kiddos or out and about running around. 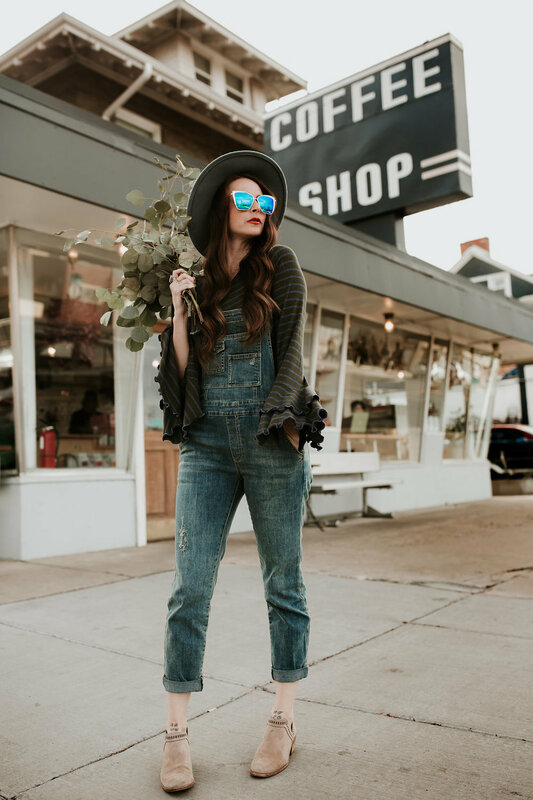 I have been eyeing these Madewell overalls for quite some time, and I must say, they are EVEYTHING that I could have imagined. I got them in the Light Stone wash and I think they pair perfectly with so much of what's already in my closet. I am a HUGE fan of bell sleeve shirts and even though they tend to dip into my daughter's yogurt when I help feed her, I just cannot resist a fun, flowy sleeve. For this shoot I paired the overalls with this shirt by Free People and am showing you two of the color options. I also rolled the jeans up a smidge. When they aren't rolled they hit right at the top of my ankle (just to give you length reference).